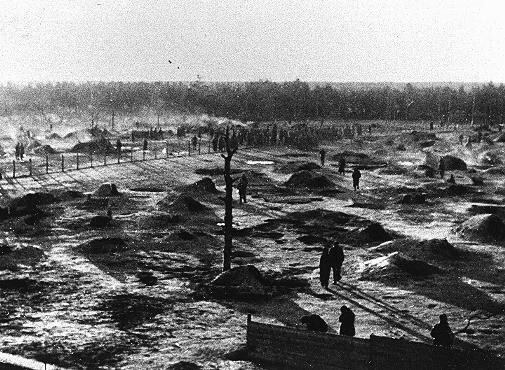 View of a camp for Soviet prisoners of war, showing the holes dug into the ground that served as shelter. 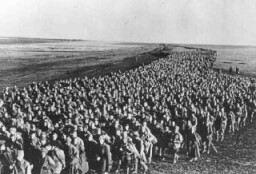 The camp was located south of Hamburg in northern Germany. 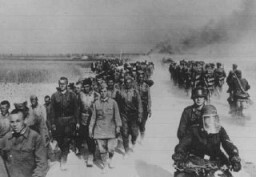 Wietzendorf, Germany, 1941–42.